India’s Coolest Store Awards 2018- Have you applied yet? Is your store any of the above? A warm and welcoming retail space is equally important for any jewellery showroom as its sales staff. It plays a huge role in making the customer comfortable enough to spend their hard earned money. And if you have been successful in creating an amazing retail ambience, then you deserve to be awarded for it. 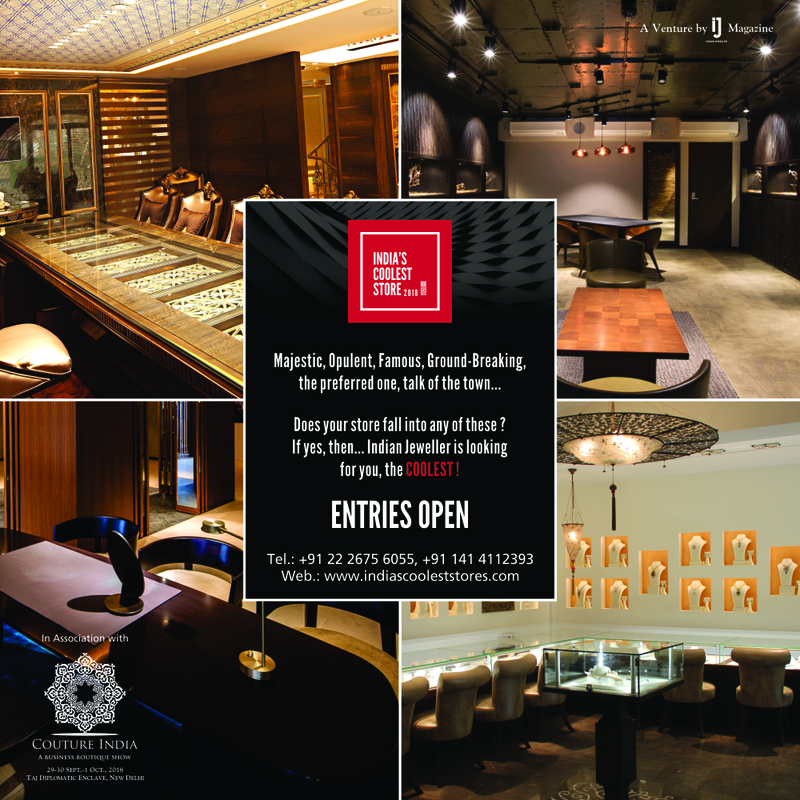 For the first time in India, there is a new series of awards that will give recognition to the best of jewellery stores- India’s Coolest Store Awards 2018. These first-of-its-kind awards have been announced by Indian Jeweller Magazine. The Competition is divided by the four Indian regions- North, South, East and West. In each Region, stores will be divided into two major categories – Small (less than 50 employees, excluding the founders/owners) and Big (50 and above employees, excluding the founders/owners). The top two stores in each category and region would then be determined. The evaluation of the stores will be based on: your story, showroom’s exterior and interior, advertising, online presence and individuality. The winning stores would be awarded at the Couture India Show’s gala award night on 29th September 2018. But the main question is till when can you apply? The deadline to submit your entries is till 15th June 2018. So hurry up! What are you waiting for?